With his contract ending soon, Ogie Alcasid remains open for all possibilities in his career. 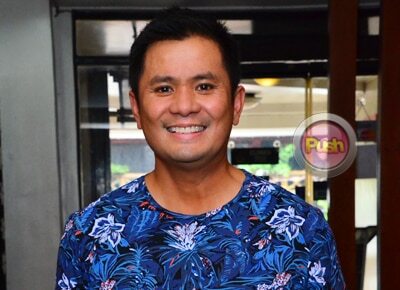 Ogie Alcasid did not mince his words when he opened up that his contract with his current home network TV5 is set to end next week. According to Ogie, during an interview for his upcoming concert titled "Ayokong Tumanda" at the Music Museum on August 26 and 27, his contract is slated to end on August 18. “Thankful ako sa network ko at hindi nila ako nire-restrict. Let's face it, wala naman kaming show ngayon... wala kaming ibang content kung saan ako puwede lumabas, so naiintindihan naman nila 'yon," shared Ogie. As of the moment, Ogie is holding off on any decision of switching networks. But Ogie is not dismissing any career possibility for him. “But siyempre, ang feeling ko kasi, sa three years being with TV5, we weren’t able to accomplish what we were supposed to accomplish, I for myself. “I don’t want to base my decision on anything else, but where am I needed most at this point,” he added. A number of celebrities have transferred to ABS-CBN over the years. There’s Jolina Magdangal, Kyla, JayR, Jona, and most recently, Jaya. Like Jaya, many people are hoping to see Ogie on the ASAP stage once again. The singer-composer recently performed on ASAP for Maestro Ryan Cayabyab. "Hindi ko alam, hindi ko masabi. Alam mo God bless those guys, people tweeting me na bagay kayo diyan, dami kong natatanggap, that's very nakakataba ng puso. Pero 'di ko pwedeng pabayaan ang responsibilidad ko ngayon but it's very flattering kasi napasama ka doon, ang saya," he said.